Yeshie Trotman is a London based internationally published freelance Makeup Artist and founder of Aleroh Beauty. Her Studio is based in luxury beauty salon Her Definition. Providing makeup for friends and family for a number of years and... realising her passion for enhancing an individuals beauty through makeup gave Yeshie the impetus to pursue a career in Makeup Artistry and start Aleroh Beauty & Artistry. Yeshie has worked on commercial brand shoots, Africa Fashion Week London, concerts, music videos, model test shoots, female body-builder competitions; as well as provided makeup for many bridal parties and prom clients, with her work being featured on award winning website NUBride.com, VMM magazine, New African Woman Magazine, Vanguard Allure Magazine, Noctis Magazine and SHEEBA magazine amongst others. Yeshie has provided makeup for Global Campaign Director of the Oscars® Red Carpet Green Dress, and TRIBE founder as well as actresses and up and coming Uk RnB Artists. To further enhance and broaden her self taught skills, Yeshie has undergone training from QC academy in Master Makeup Artistry. Aleroh Beauty for available at last minute for my wedding day. She was extremely professional, friendly and provided a service next to none. She is the best makeup artist I’ve met and I would highly recommend her. I came across Yeshie (Aleroh Beauty and Artistry) on Instagram. It was around 6 weeks to my wedding and i had been remiss in looking for a make up artist. Yeshie was very approachable, friendly and reassuring. She is confident in her craft and very skilled. she was available on whatsapp for last minute changes and kindly sent a schedule which she was relatively flexible about changing. As the bride i wanted my make up done second from last rather than so early on and Yeshie was happy to change schedule. She was also accommodating enough to add bridesmaids to the itinerary a week before the wedding. I loved my bridal make up and the time and attention Yeshie took to apply our make up. it was also appreciated that she gave me a touch up kit for the day which was handy. I've been a long standing client, which includes a tutorial, make-up for my Notting Hill Carnival costume and as a bodybuilding competitor. 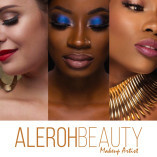 Aleroh Beauty & Artistry have always been early for bookings, given long lasting looks and very prompt with responses to booking requests. 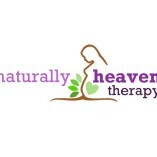 I highly recommend them for all your needs. I have always felt beautiful after any appointment. I was completely blown away and extremely impressed with the way Yeshie enhanced my features. She is the QUEEN OF MAKE UP ARTISTS. I've had my face done by many top professionals before BUT never to this standard. The transformation was first class and the service is impeccable. She always ask what look you are looking for before she starts applying make up to ensure you are 100% happy with the outcome. I always look fab when she does my make up. She’s extremely talented and really listens to what her customers are looking for. 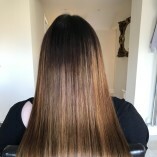 My end results were so flawless! 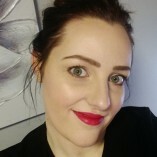 I was getting married in October 2018 and by August i still had not secured a make up artist to do my make up through lack of trying. I began to panic and searched Instagram hashtags for a local makeup artist. I wanted something natural and subtle, i am very against over contour and the caked on looked. I discovered yeshie through the #londonmakeupartist hashtag and contacted her via Instagram. She was friendly and helpful and understood what i was looking for , we quickly arranged a trail for me. She came to my house with an impressive array of make up and a chair to sit in. She wrote down all the make up she used on me and was incredibly open to suggestions and not forceful with her ideas. She spent over an hour on my trial and i have to say i loved it. I had a few suggestions for the big day such as more highlighter etc which she was open to but also was able to tell you if it was too much. yeshie was easily contactable during the lead up. If she was busy on another job she would contact you later in the day. I was happy that Yeshie arranged a schedule and was happy to update it with last minute changes when the bridesmaids decided in the last two weeks that they wanted make up. Aleroh Beauty is second to none! Their brand and quality of service is on point! Make up always look fresh and natural! Would recommend to anyone who is looking for a professional MUA for any occasion or look! I had my makeup done for a corporate shoot. I was treated professionally throughout the process, from discussibg my look beforehand, to my makeup and touch ups on the day. Yeshie enhanced my features to give me a flawless look, I was very happy with my photos and that is definitely down to my awesome makeup. For my wedding day Aleroh Beauty did the make up for my 6 bridesmaids. Each had different makeup needs and Aleroh Beauty met them all beautifully! The atmosphere created was great, not a stressful vibe anywhere and everyone felt happy and confident in how they looked with all eyes on them! Thank you Aleroh Beauty!